Blade Runner 2049 is just around the corner and the hype is really starting to build. This is a sequel 35 years in the making and it doesn't need to just be good, it needs to be great. The movie has certainly assembled a great cast, which includes Jared Leto as the movie's villain, Niander Wallace. 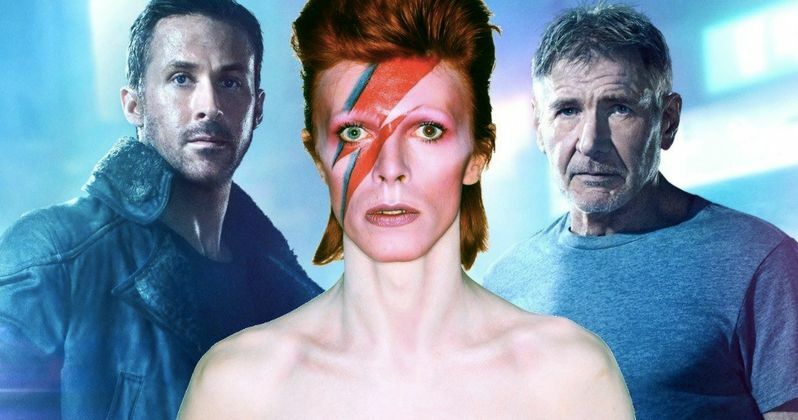 However, director Denis Villeneuve has revealed that, prior to his death, they wanted rock legend David Bowie to play the part. Denis Villeneuve and the cast are currently promoting Blade Runner 2049 as the movie nears its October 6, release date. During the press tour, the director and some of the cast caught up with Metro. During the conversation, Villeneuve revealed that David Bowie, who tragically passed away in January of last year, was who they had originally envisioned as Niander Wallace. Here's what he had to say about it. "Our first thought [for the character] had been David Bowie, who had influenced Blade Runner in many ways. 'When we learned the sad news, we looked around for someone like that." Jared Leto is an Academy Award-winning actor, who also just so happens to be a very successful musician with his band 30 Seconds to Mars. Not to say that Leto is in any way on the same level as David Bowie, but they did do a good job of finding someone else with that rock star/actor prowess. Plus, Leto is very dedicated. It was recently revealed that, since his character is blind, he wore contacts that made him blind for the entire shoot. As for some of his co-stars, the way they got the gig was a little different. In Ryan Gosling's case, his part in Blade Runner 2049 was tailored for him. "The part was written for Ryan right from the start. He was perfect." Blade Runner 2049 isn't just going to be a bunch of new characters in the Blade Runner world. Harrison Ford is set to return as Rick Deckard for the long-awaited sequel, providing some connective tissue to Ridley Scott's original sci-fi classic. Ford talked a bit about working with both directors, but praised Denis Villeneuve's vision and knack for storytelling. "Ridley and I have long made our peace with each other. Whatever the circumstances were during the original film, I have great respect for Ridley and admiration for his work. Denis brings enormous craftsmanship, cogent thoughts about storytelling. He is very direct and straightforward with the actors on the set. He either deeply loves it or thinks it is dog do." To say that expectations are high for this movie would be a big understatement. Full reviews for Blade Runner 2 have not yet made their way online, but the early reactions have been insanely positive. Many have called the sequel a masterpiece, with some calling it one of the best movies of 2017. Would it have been just a little bit better with David Bowie? It's hard to say, but most things weren't worse off when Bowie was involved, that's for sure.